The world?s greatest monster hunter wages war against a plague of vampires intent on resurrecting a demonic god, an evil witch in league with a clan of undead, and his mortal nemesis, leading to a final showdown in London! Collects Baltimore: The Infernal Train #1-#3 and Baltimore: Chapel of Bones #1-#2. 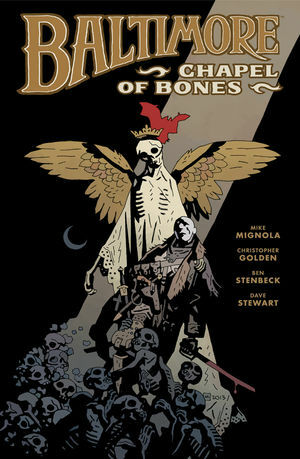 * By award?winning, best-selling writers Mike Mignola and Christopher Golden.